All those sleepless nights thinking about how I can find a solution to where I can have a guide to have my very own fully renovated Head Quarters for my brand Breena Beauty. After watching Too Faced and Colourpop HQ Tour, my heart has been so fired up and excited to start planning on it. But I am totally clueless about how it will cost me! At the moment, Breena Beauty office is located around Kota Damansara area, located in a 900sqft space which is now fully packed with stuff, and there is where I have thought, we need to move to a bigger space. But I want to move when the office space is fully renovated and ready to move in into a very well interior environment. Every night I will browse the internet, smiling on my own, looking through inspiration from the internet, but I don't even know where I am standing on the budget I need to know. Finally! 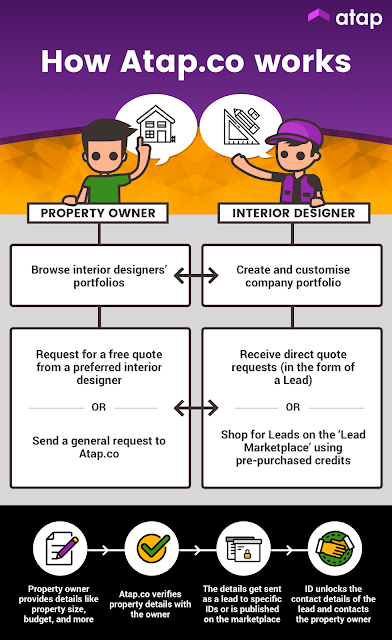 I found a place where I can compare, inspired, find Malaysian interior designers to make my dream come true. This website is called Atap.co. An ID marketplace for Malaysians. So how it works? 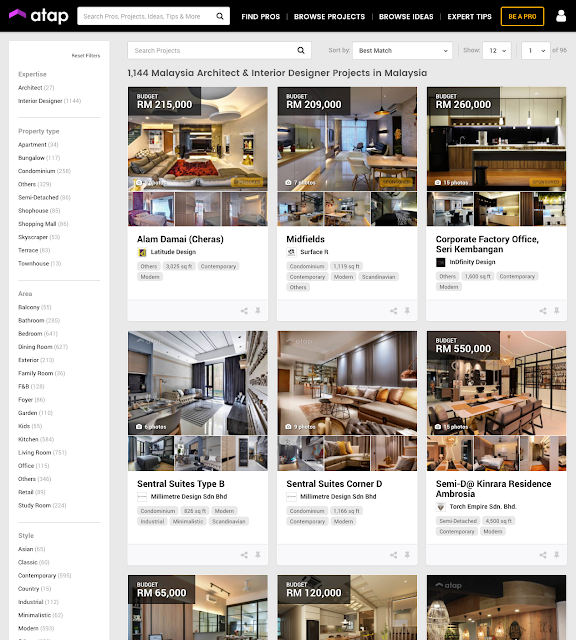 You can simply browse over 1000 interior designers in just one place. 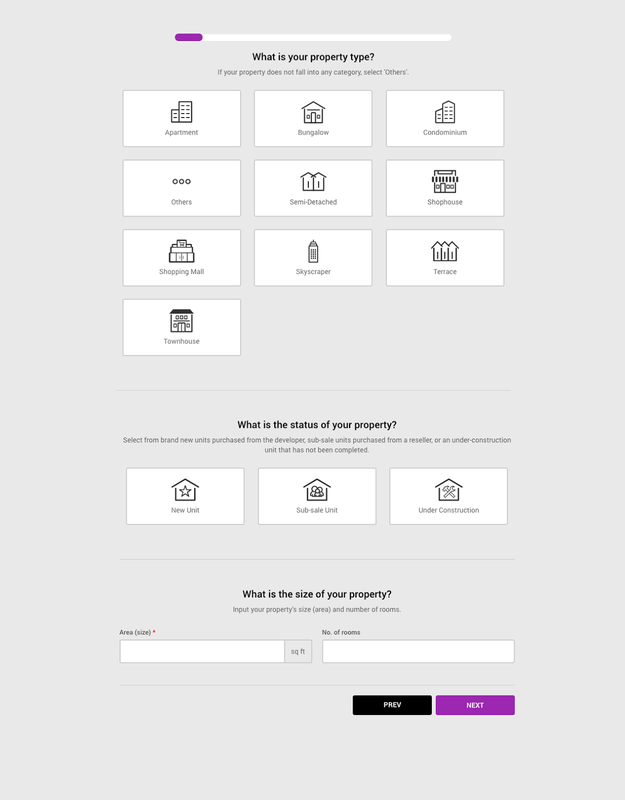 Along with that, you can view their portfolio with details of their previous projects. At the moment I am looking for an office renovation service. There are a lot of things I need to study as office renovation may take a lot of time as it consists of a space for a great environment for my staff. So thankfully, Atap.co have an easy navigation where I can just simply click on the OFFICE tab to see office projects done by these IDs. Also, I love how I can learn the actual cost of renovating a space. They also include sqft for each project so I can understand why some cost more and why some cost less. I also love the features of the portfolio of each ID. I learn about how long actually renovation takes, type of interiors such as zen, contemporary, modern and I also learn about how renovation takes place in terms of the proper process. Oh, my I am excited and can't wait for 2018! 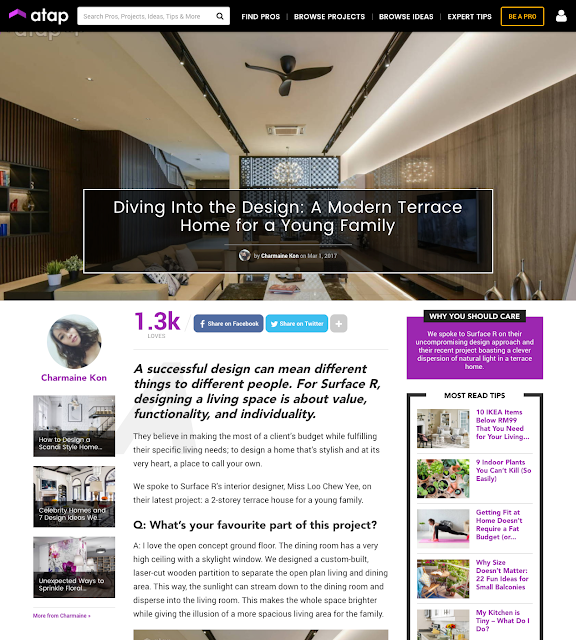 If I wanna go more specific in each space, for example, bathroom, pantry and more, I simply click on the ‘Browse Ideas’ tab and filter what I want to see by choosing the room type, style, location, and more. When you are ready you can request for a free quote from your ID of choiceor send a general one so that a few IDs can give you a quote. Simply send a quote for a renovation like below. Other than that, learn more about interior design and renovation tips. They provide amazing and useful articles for you to browse over and gain knowledge about interior design and renovation tips. I hope you find this post helpful as much as I do. I spend hours on this website just by looking at each amazing project each ID has done. One of my favorites is the Factory Office@Rawang project. I would love to have an office like that one day.